Arsenal sit fourth in the table, just two points behind leaders Manchester City, and will be looking to make it 10 wins in a row when they host Leicester City on Monday night. Leicester pushed the north Londoners all the way on their last visit with only a late Olivier Giroud goal sealing an Arsenal win last season. The Foxes got their revenge last May with a 3-1 victory at the King Power Stadium. 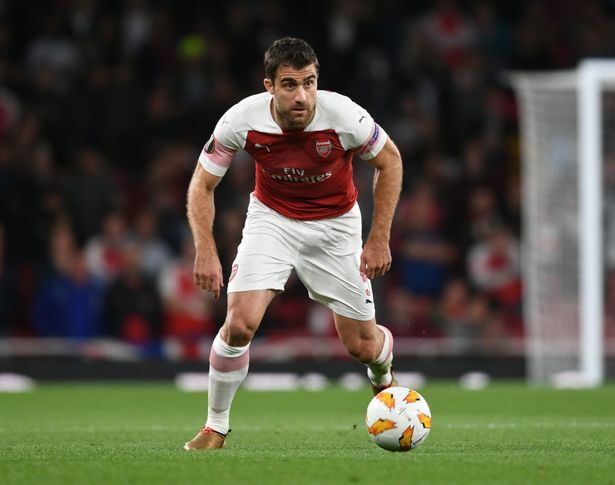 Arsenal centre-back Sokratis Papastathopoulos is a doubt for the clash against Leicester City on Monday. The Greek international had to be brought off at half time in his side’s 2-1 defeat to Finland, and it is feared that he may have injured his ankle. Sokratis’ injury leaves the North Londoners with just two options at the back: Shkodran Mustafi and Rob Holding. Jamie Vardy would be licking his lips. Mesut Ozil returned to full training last week after his recent back problem and was joined by Ainsley Maitland-Niles, who has recovered from a leg fracture suffered on the opening day of the season. Petr Cech is to be assessed in the coming days after his hamstring injury. Leicester captain Wes Morgan will serve a suspension this weekend. Expected Arsenal XI vs Leicester : Leno, Bellerin, Mustafi, Holding, Monreal, Torreira, Xhaka, Iwobi, Aubameyang, Ozil, Lacazette.